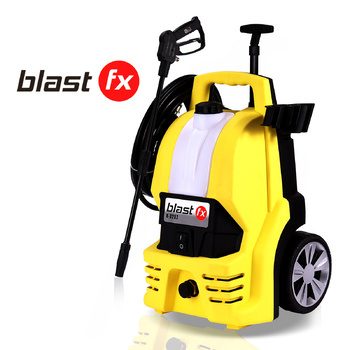 The Latest Design Pressure Washer has just arrived, BLAST FX / 3600PSI is jammed with many great features. 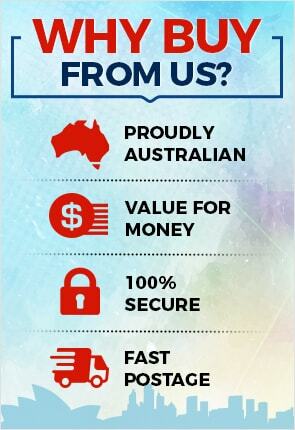 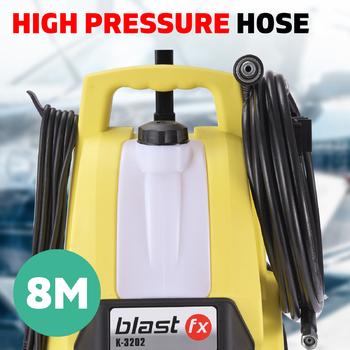 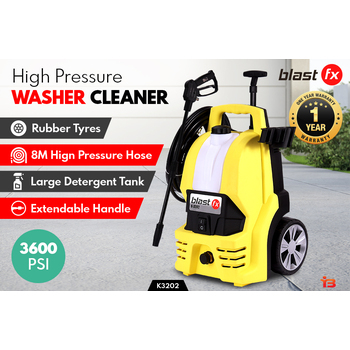 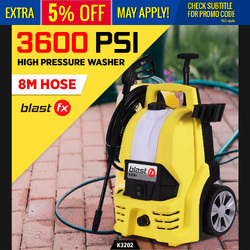 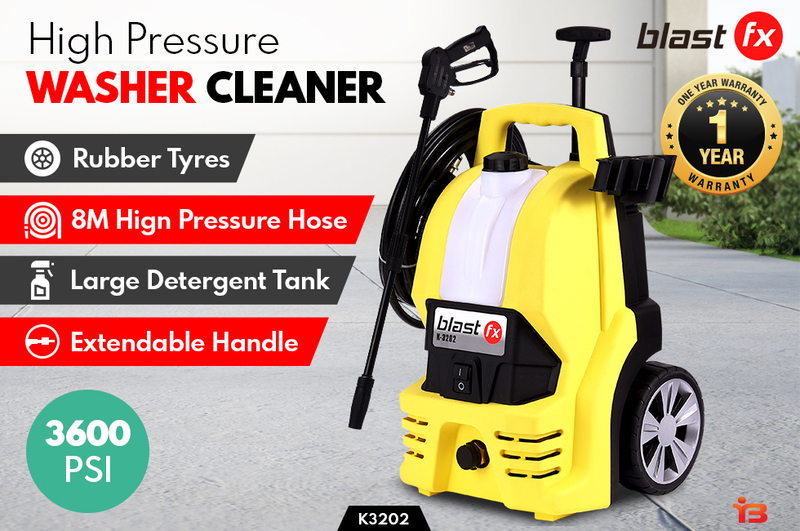 The New BLAST FX K-3202 comes with a reliable and powerful motor, guaranteed to last for many years to come, some of the great features that K-3202 has to offer: 3 Axial piston alloy pump, Built in thermal protector, Spray gun with adjustable Spray nozzle, 8M water pressure hose, 5m power cord with Australian standard plug, heavy duty trigger gun with safety lock, Large detergent tank, rubber tyres for easy movability, extendable handle for convenient use, copper inlet fitting. 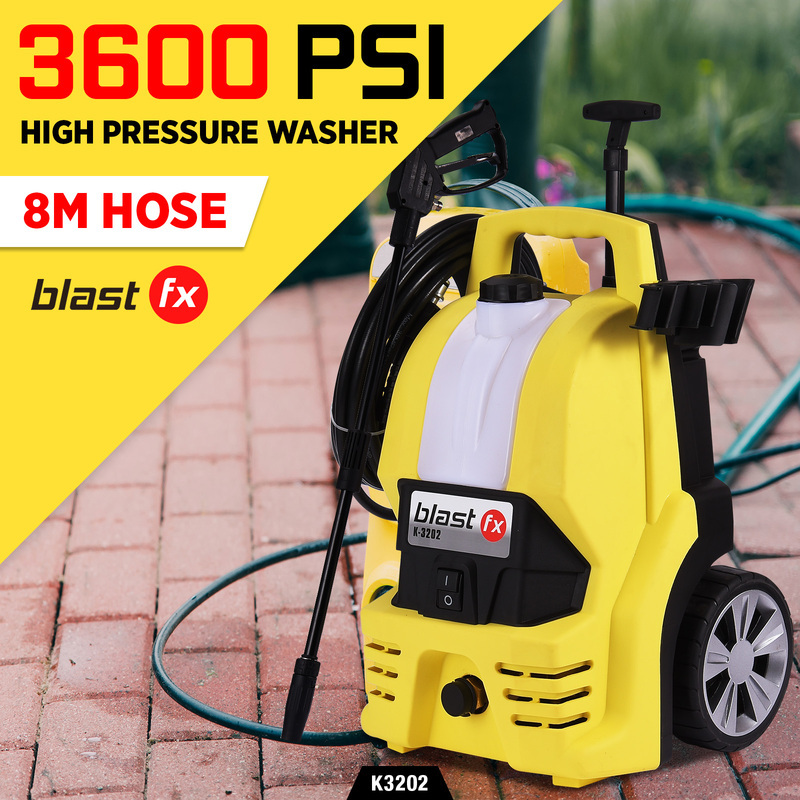 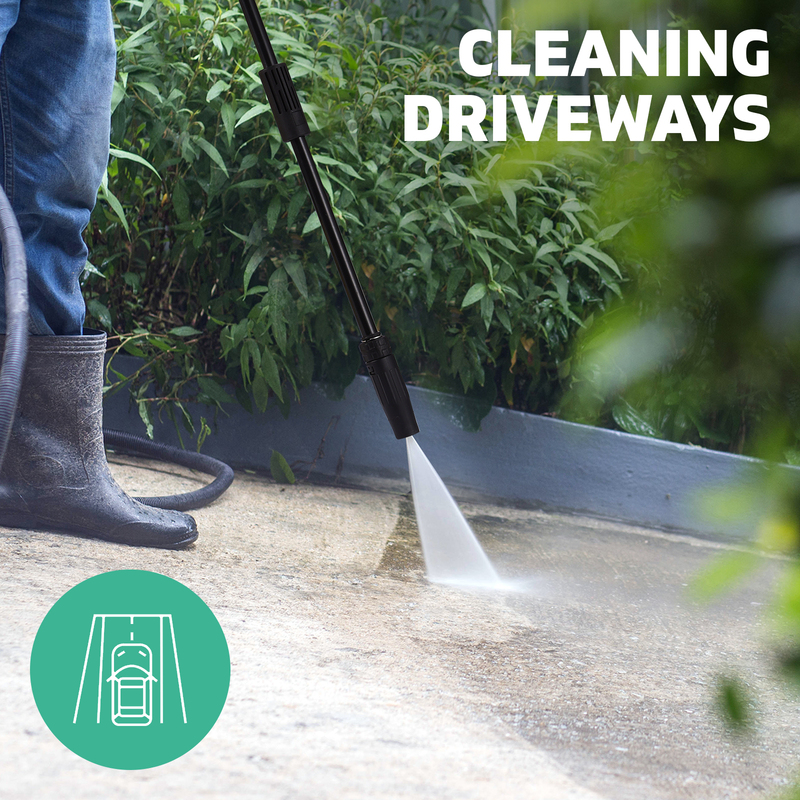 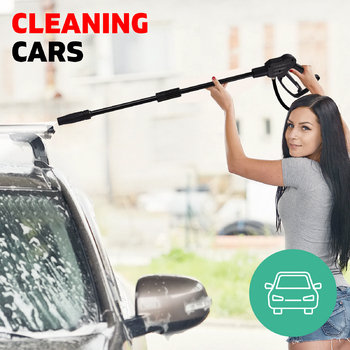 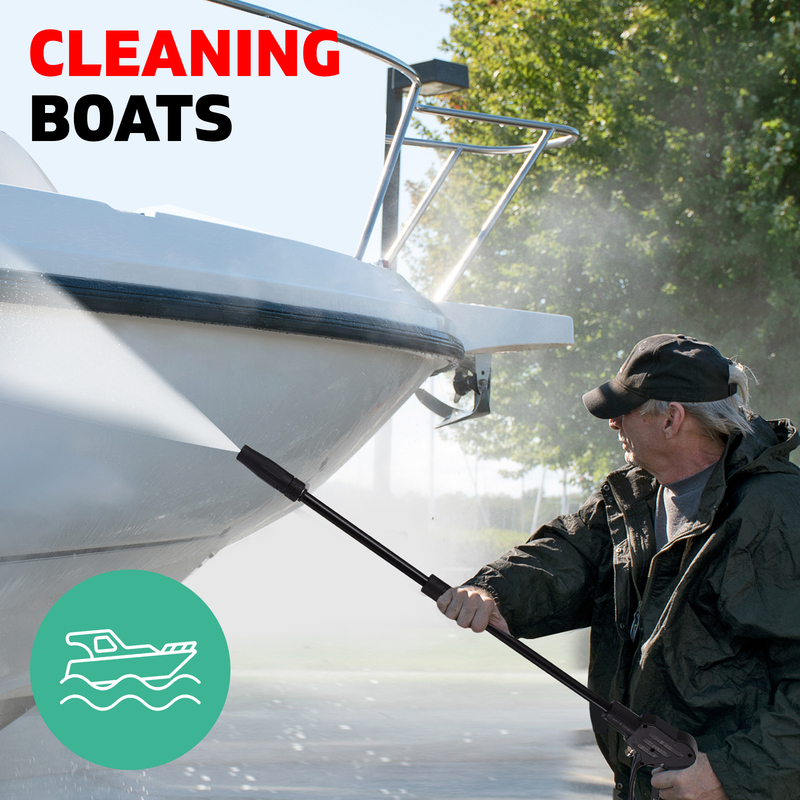 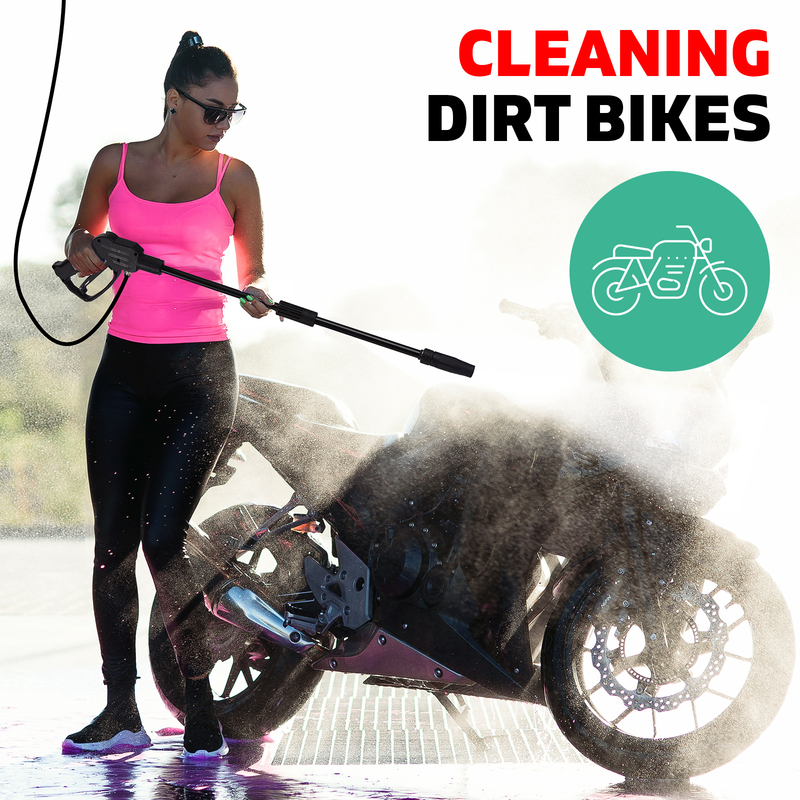 The Blast FX K-3202 is great for cleaning: Cars, Dirt bikes, boats, trucks, fences, driveways, windows, and much more. 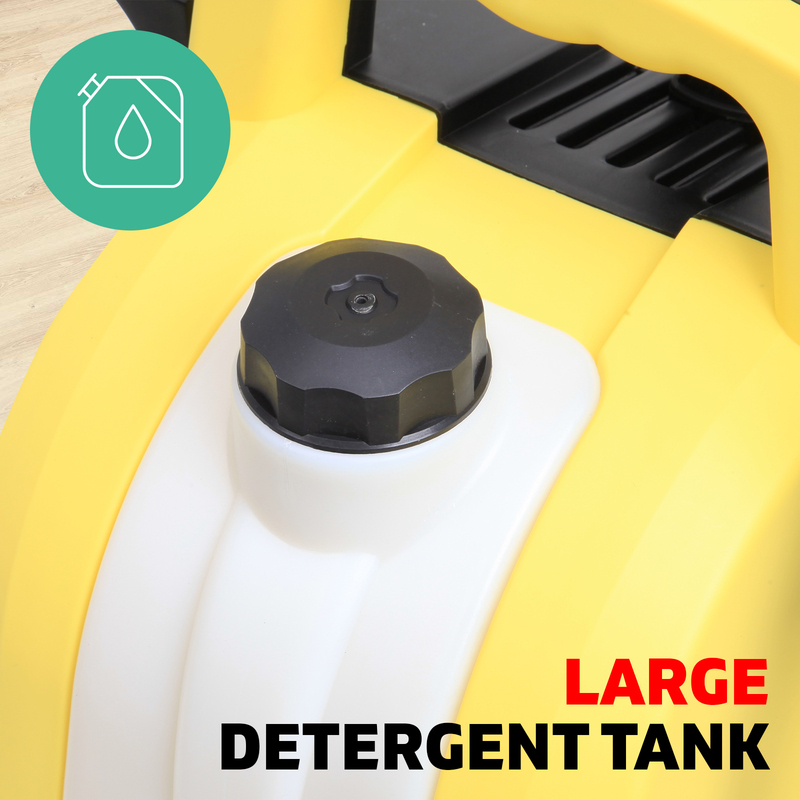 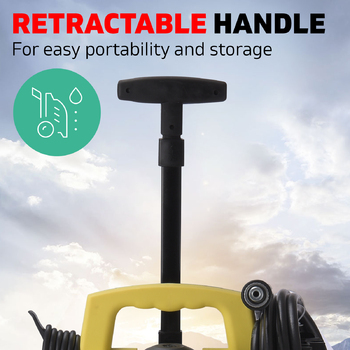 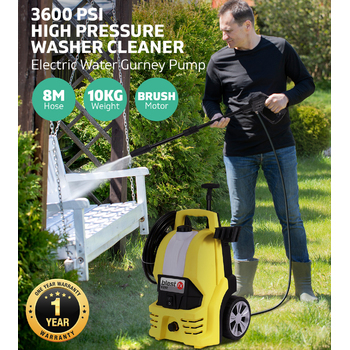 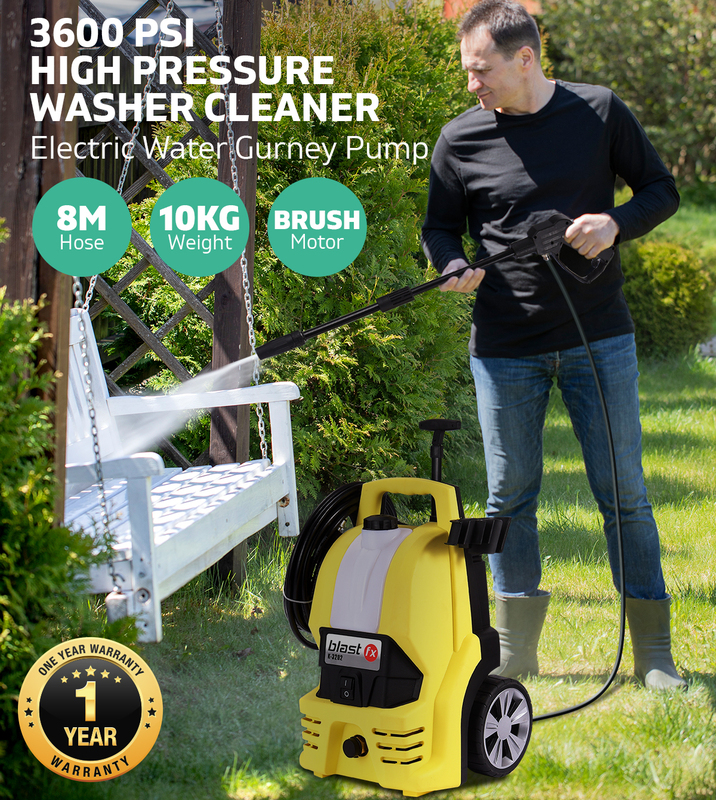 A great pressure water cleaner to have around your home.